if you can fill in any gaps then please e-mail me as I'll love to hear from you. Please feel free to correct any errors! LIKE every child who has ever lived I owe my life to my parents and without them I would be nothing. They moulded me into what I am today. I owe them so much but know so little about them particularly their early life, their dreams and aspirations. My father died in 1998 and so I've lost forever his memories and I do regret not spending time with him to find out more about his early life. It dawned on me while writing this page just after Christmas 2005 that I need to talk to my mum to try to make amends for my lack of knowledge. 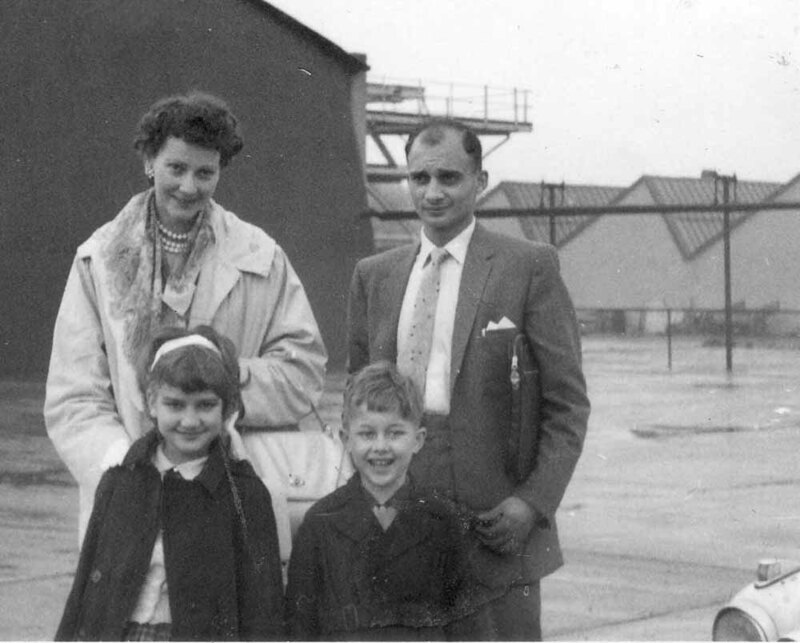 So when my mum, who lived at the time in Brampton near Huntingdon, asked me over for dinner in early January 2006, I took the opportunity to ask her about her early life and that of my father. I also asked my dad's sister, Barbara if she could fill in some gaps and I'm indebted to her. My dad's dad was third in command of HMV in Dum Dum India at the peak of British Colonialism - see link for some pictures of his parents. My dad (Terence Patrick Bryant) was born in India in 1931 and along with his sister (Barbara) had a privileged, if somewhat strict, childhood. At a very young age (say 3 ) my dad was sent away to Goethals Memorial boarding school in Kurseong for nine months in the year and was educated by the Jesuit Brothers. This Catholic education gave him good values which helped him through life, although my dad felt that he was cheated out of family life being sent away so young. 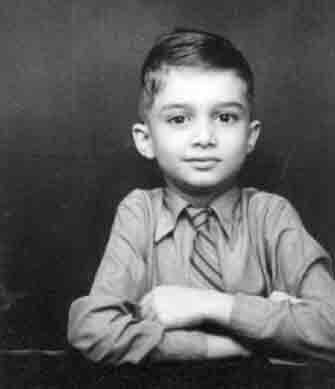 To complete his education he was sent to the RAF Boys School at Bletchley, England. This is the same place where the code breakers worked during WW2 and cracked the code for the German enigma machine. Interestingly Harry Golombek (1911-1994) Chess Master and code breaker was also based at Bletchley Park during WW2 and it's a long shot, but my dad may have met him - see my hobbies for the reason and the priority question on computers. I live near Bletchley Park and have visited it twice and this link will take you to the web site. When my dad graduated from the school he was sent to Egypt and while out there his father become ill and so he was flown back to England by the RAF. His dad died on 1st August 1950 at the age of sixty two. See timeline for more information about my dad. My mum (June Bryant) is one of three sisters. She's a twin with Rene (see obiturary) and they were born on 12 June 1930 in Surrey; Pam is the other sister and is the older by about 18 months. My mum's parents were Edith (nee Parsons) born circa 1906 and Frank Bird, born circa 1906. Frank Bird worked at The Vickers Armstrong Factory in Weybridge, Surrey which was an armaments factory. 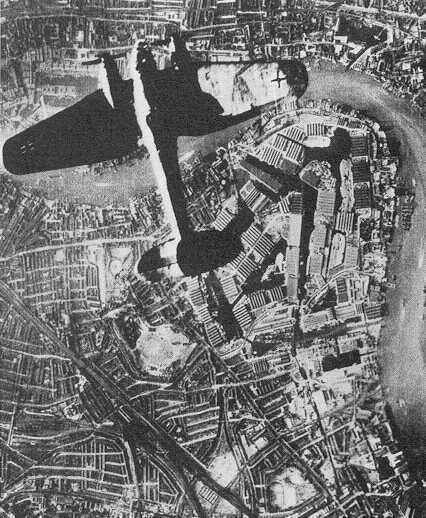 Up until September 2012 it was believed by all that Frank Bird died in an air raid by the Luftwaffe in WW2. There was an air raid on the Vickers Armstrong Factory at Brooklands on 4 September 1940 and so his death should have been well documented. My mum remembers that he died young at the age of 38 when she was ten years old. However, his name is not listed as killed at Brooklands Museum which was a mystery to us all. Indeed some relatives had visited Brooklands to try to find his name on the role of honour to those that died on that raid, but to no avail. 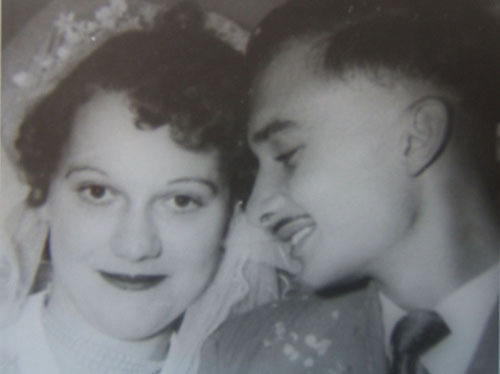 Twelve years later (1952), Edith Bird married Johnny Pipkin, a best friend of the deceased Frank Bird. My mum distinctly remembers not being told about the marriage or being invited to the ceremony. They lived at "Flower Patch" an idyllic cottage in Chobham, sadly now gone. I remember this cottage with its outside lavatory with no running water, immaculate garden and near perfect golf course grass. 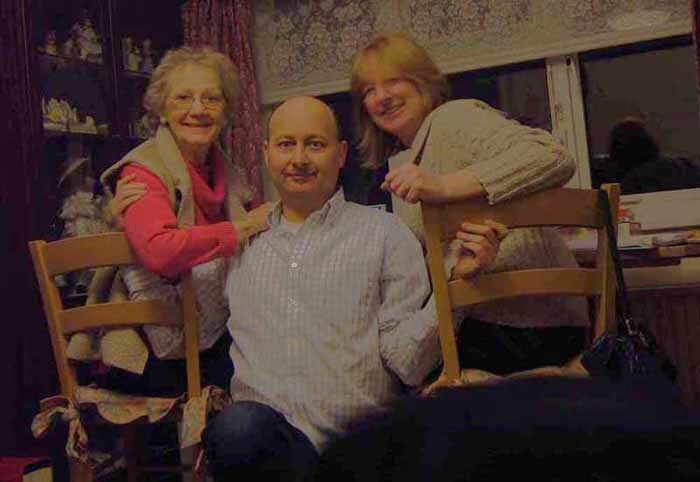 The three sisters, June, Rene and Pam, looked after each other and my mum remembers that during the weekend their parents went down the pub and returned with a packet of crisps for each of them. Little is known about my mum's schooling other than she walked to school in Chertsey a distance of about two miles. When my mum turned 16 or 17, she left school and went to work in the big world. She worked with her mother at a stately home in Flutters Hill, Longcross, Surrey. Her mother was a house maid and my mum undertook general house work. We believe that Frank Bird worked as a chauffeur at this house for a high ranking Naval officer. During this time, Rene, her twin, started work as a typist in a factory while Pam joined the Wrens. In her social life, my mum went dancing at Bulmore. Later my mum worked in a factory at Mars Ltd. 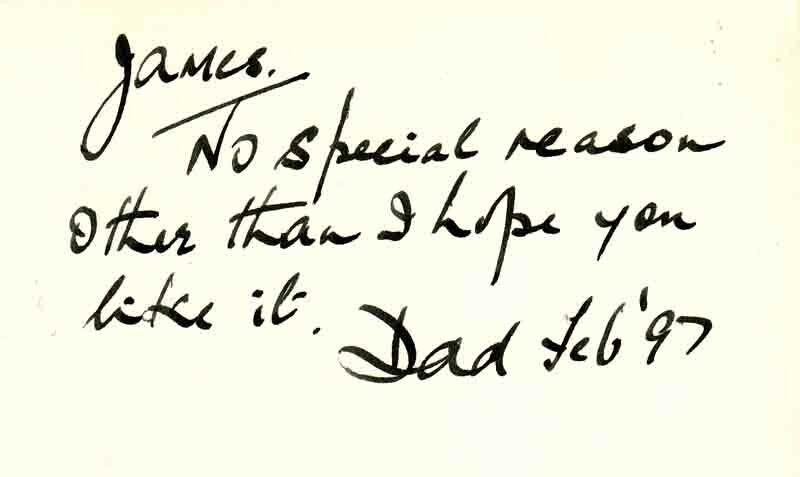 In 2012, prompted by a message left in my guest book, we dug deeper into the records of Frank Bird. And after some great detective work by Jodie, we came across a Frank Bird who died in 1944. Further probing proved beyond doubt this was our Frank and like all mortal people he did die, but not in 1940 during the Vickers raid but instead on 23/2/1944 in a raid at Sound City, Shepperton. He was aged 38. See this link for a brief summary of Frank Bird. We came across the probate entry which also mentions his wife Edith Bird, of Flutters Hill Lodge, Longcross, Littleton. This explains why Frank Bird is not listed on the Brooklands role of honour because he wasn't killed there, but he is listed as a civilian death in the book of remembrance for the raid at Sound City. While in England my dad was based at the RAF camp in Uxbridge and it was there that he met my mum. 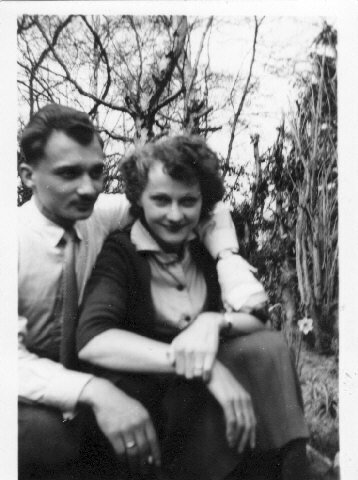 The year was 1951 and my mum was twenty-one and my dad twenty. They met at a dance in Uxbridge in Burtons - yes, the old clothes shop! 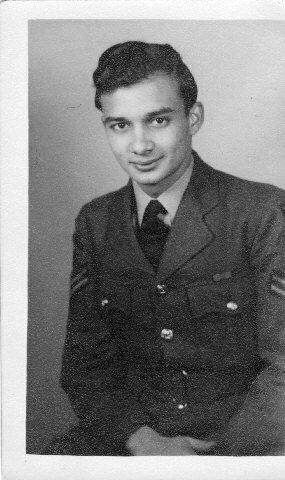 Shortly after they met my dad was posted to Colombo, Ceylon (now Sri Lanka) where he was to serve for three years being a Cpl in the R.A.F. 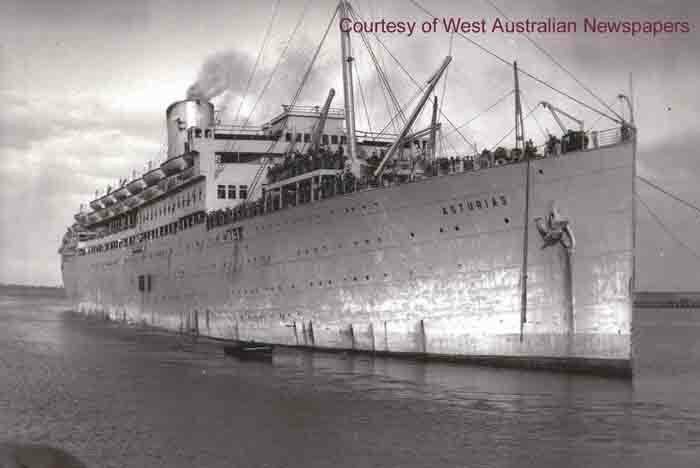 My dad left for Colombo first and then my mum followed by sea later on the luxury liner Asturias. They married in Colombo on 11 December 1952 - see report in local paper. 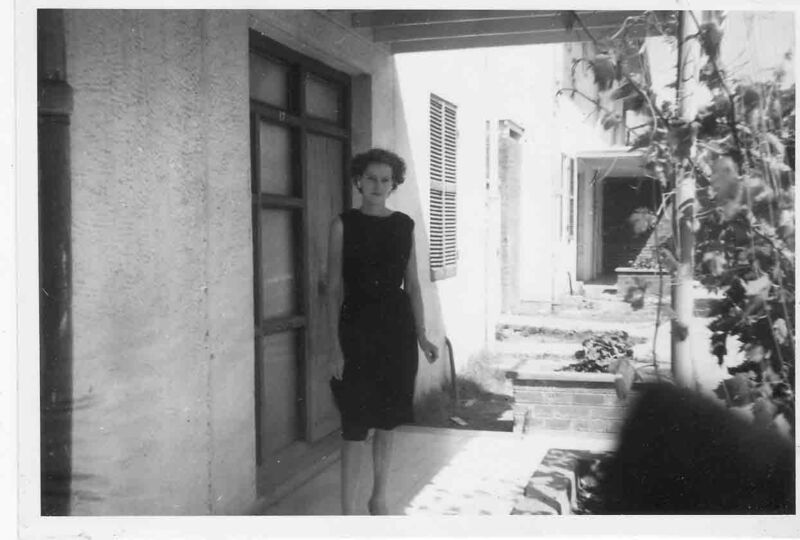 My sister Ruth was born one year later in 1953 in Ceylon. Around late summer of 1954 my parents returned to blighty (that's England) and lived in a bungalow in Fig Lane, Thornhill, Southampton. I was born in 1955 while we were still at Southampton, but shortly afterwards (around 1958) we moved to 121 Deeds Grove in High Wycombe. I can clearly remember living at High Wycombe and recall the house and its garden. In 1996 I went back to find the house and it hadn't changed a lot (externally) from my memories of over forty years ago - see picture. In 1962 my father was posted to Cyprus and I'm not sure about the next bit but believe that he had already left the RAF and was now workin g as a civilian in the Signals. 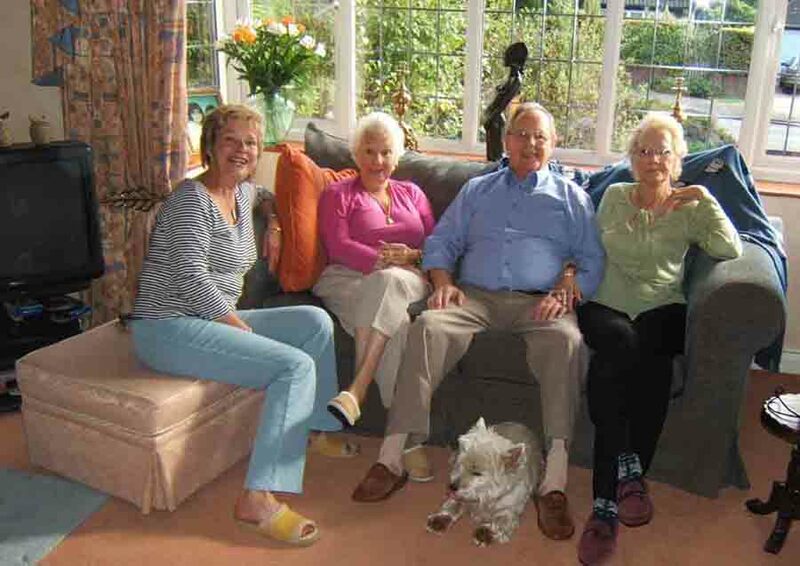 In Cyprus we lived at 17 Westmorland Park on the RAF base at Episkopi from 1962 to 1967 and these were happy years for me. Keven (my younger bother) was born in 1964 while we were in Cyprus. 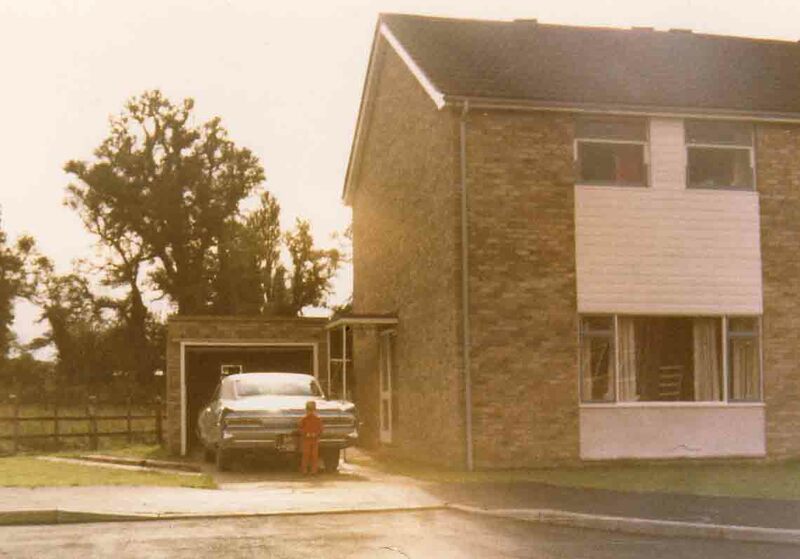 In 1967 we returned to England for good and lived at 64 Manor Gardens in Buckden, near Huntingdon. And again these where happy times although stressful for my father as he struggled to find good employment. In the early 1970s my father started up a business called Manor Green Refrigeration which consisted of refurbishment of chiller units of the type you see around large retail stores today. These were the halcyon days for us all and again I have fond memories. We had our own phone in the house which was a new experience and I still remember the number (Buckden 583). Around 1972 my brother was diagnosed with cancer and our world fell apart - see this link. After the death of my brother my parents moved to another house in Buckden at 24 Mayfields and then to 42 Lees Lane in Southoe, near St Neots. I believe that my father never fully recovered from Keven's death and that his own early death in 1998 was a consequence of the stresses that he endured. 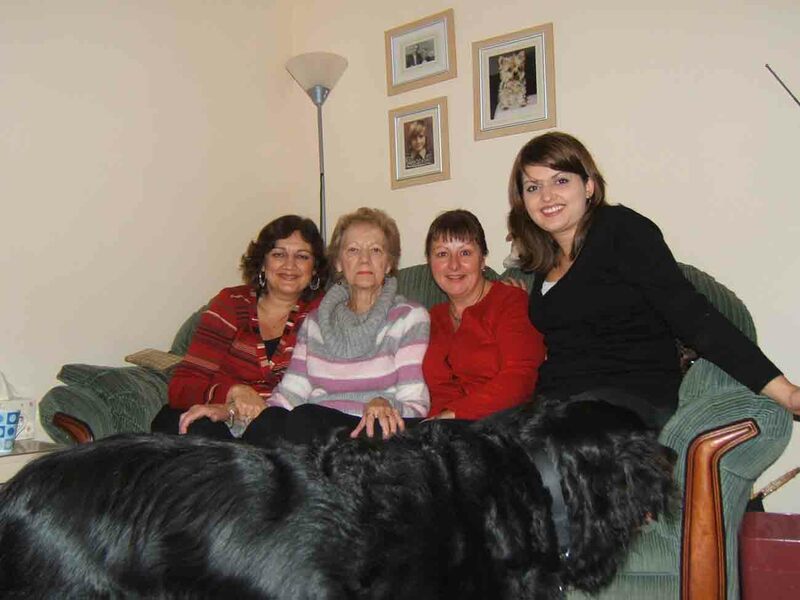 My mother lived in Brampton, near Huntingdon up to 2007 and then following a spell in hospital moved to a nursing home in Upwood, near Warboys, Huntingdon, Cambs, England. She died in 18/2/2009 on Sunday at 9.25pm. The above sounds very clinical no matter how many times I've rewritten it. It doesn't reflect that my childhood and teenager years were very happy times in my life and I shall be forever indebted to my parents. They taught me to behave well towards others, gave me rectitude and above all showed me genuine love. See abridged family tree at this link. Finally, they were always there for me. For my mum's stay in hospital, see this link for the details.